no vinyl roof , the car had a repaint that yellowed or the clear yellowed , they tried to add some kind of flame ,that is yellow and purple that you see on top of right rear quarter in 10th pic. I was lucky enough to see this car at both of those show's. This year hopefully I can meet the owners. 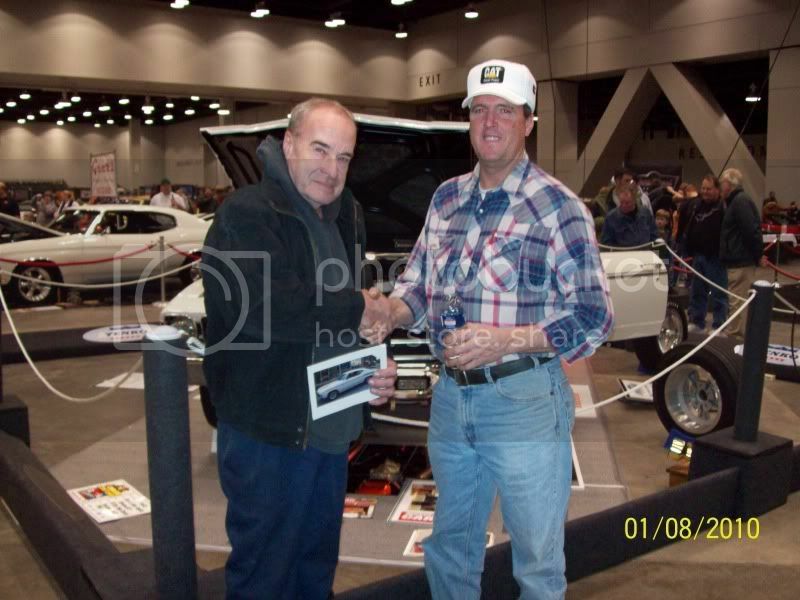 pic of original owner (1969-2004) "Yenko Freddy" and I ,taken at Cincinnati Cavalcade show 1-8-10 ,This was first time he has seen car since we purchased it in 2004 . A perfect picture..what dealer is that? ..I'm driving there now!! 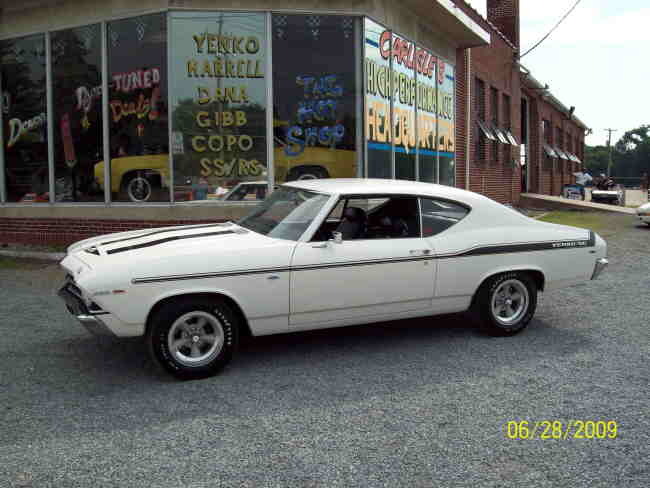 Your Yenko Chevelle is truly awesome. I was all over it at MCACN! I was very impressed. So sorry we missed each other! Perhaps you`ll bring her to Chevel-Abration 2010? I garranty you a fun weekend! Very classy looking in white. I agree - was great to see at MCACN, I love the white.